Ready to hit the course or the streets in your very own golf cart? 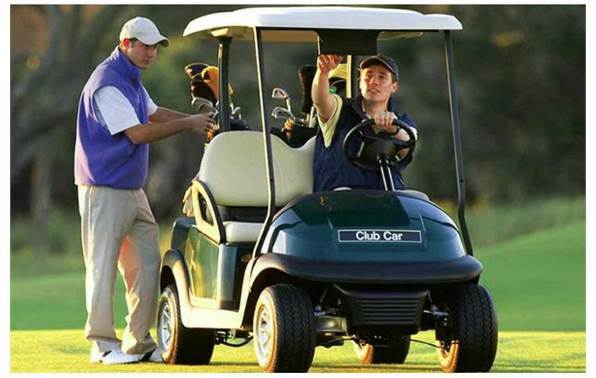 Looking for a golf cart for use at your local Raleigh golf course, around your neighborhood, for work, or just for fun? We’ve got you covered! 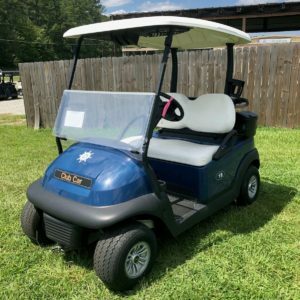 Here at J’s Golf Carts, we have a wide selection of new and pre-owned golf carts for sale or lease to customers looking to cruise the fairways or the streets in and around Raleigh and the Triangle. Ready to find your dream golf cart? Give our friendly and professional team a call today at 919-552-9351 and talk to one of our J’s staff members about our huge selection! Whether you’re in the market for an electric or gas powered option for your new golf cart, we’ve got you covered! 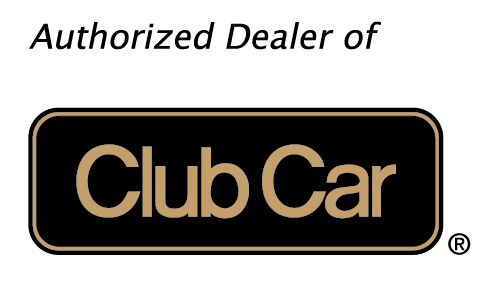 We are proud to offer new golf cart options from Club Car like the Precedent, Villager, and more. Looking for an electric golf cart option? Check out the Precedent i2 Electric Cart! This low-speed cart option is perfect for those looking to drive a cart to their local course, or to nearby restaurants for a bite. It gets up to 30 miles on a single charge, which means it can handle most local drives. Take it to the gym for a workout, or cruise in your Precedent i2 to the supermarket for a quick grocery run! Safety comes first on the Precedent golf cart, which comes equipped with 3-point safety belts and a safety glass windshield with a wiper for rainy rides. 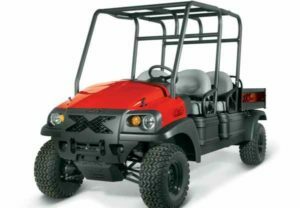 If you are hunting for a golf cart option that packs a bit more punch, consider a gas powered option. 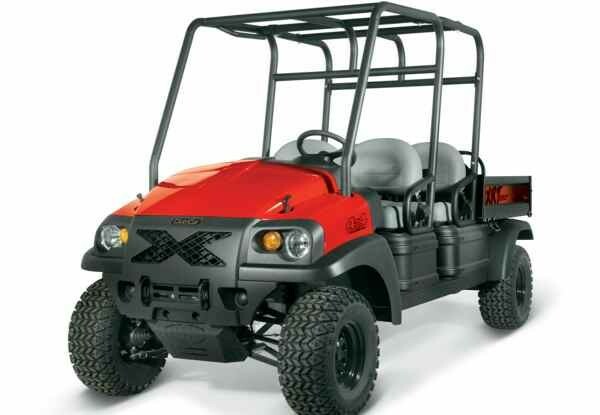 Gas powered golf carts like the XRT 1550 are perfect for those looking to put their new golf cart through its paces, or use it in off road environments. The XRT 1550 for example packs a lightweight, aircraft-grade aluminum frame and hydraulic disc brakes to keep you safe on the trails. However, that off-road capability doesn’t require a sacrifice in the comfort department! The XRT 1550 includes an exclusive 13-position adjustable drivers seat, and a front suspension system that will enhance the ride while reducing wear on your tires. Ready to test drive? 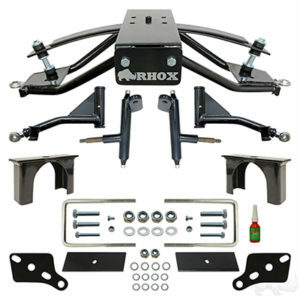 Call us at 919-552-9351 and get into an XRT today! If you’re in the market for a quality golf cart for a bit lower price point, check out our inventory of pre-owned golf carts ready to hit the course in Raleigh. 2 seaters, 4 seaters, we have variety in our selection of used carts available to Raleigh cart owners. They may not be new, but they’re new to you! Plus, we personally inspect all of our pre-owned golf carts to make sure that they meet our high standards for quality. See a used golf cart on our site that you like, but it’s already been sold? Not to worry, we can build you another exactly like it! Contact our team and ask about our custom cart options. See something you like, but want to personalize your golf cart? We can do that! Our J’s team has years of experience building custom golf carts for customers with something particular in mind. Our huge selection of custom cart parts to choose from means you can tailor your golf cart to your exact design preferences. Want to learn more about our custom golf cart process and options? Visit our custom golf cart page or call our team at 919-552-9351 and speak to a member of our team today! Ready to hit the links or the streets in your new cart? Whether you plan to use your golf cart for play the full 18 or make short trips to local restaurants or stores in your area, we have your new cart waiting for you. Shop our new and used inventory of golf carts here online! Or, check out our custom golf cart option for a deeper level of personalization. After you’re set up with your new ride, don’t forget to come see us for scheduled golf cart service and maintenance to keep your cart in tip-top shape! Call our team at 919-552-9351 or contact us here online and find your perfect cart here at J’s!